I’m not sure if you know that when I graduated from university back in 1999, I embarked on a career as a graphic designer, having studied graphic arts & design at university. I’ve always had an enthusiasm for great design, and those were the days before digital so it was ALL about interesting paper stocks and beautiful print techniques. 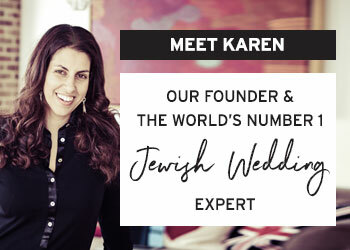 I’ve never lost that passion for creativity (if anything it’s been amplified since starting my design company in 2002 which I ran until Smashing The Glass became my full-time business) and that’s why I so appreciate today’s wedding with its exquisite creative streak and attention to detail. The craft and care for everything at this wedding is so apparent and I’ve been lapping it all up! I’m blown away by the stationery for starters – it’s magnificent. Luigi Maldonado, the art director at the creative studio in Austin where Julie works, designed the entire suite as a gift to Julie and Abe and it’s beyond beautiful. 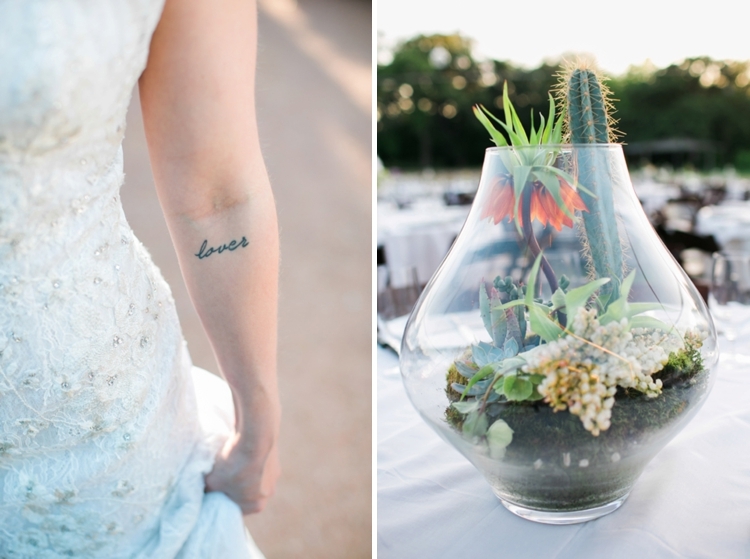 And their wedding is a totally outdoor affair! 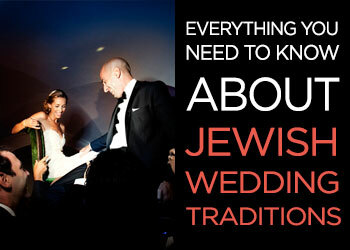 They had their chuppah under an elegant oak tree, and their reception within a unique open-air ‘dinner tent’. It was essentially a tent structure without the tent itself and was decorated with festoon lighting so that guests could dine and party under the moonlight. Er… WOW. 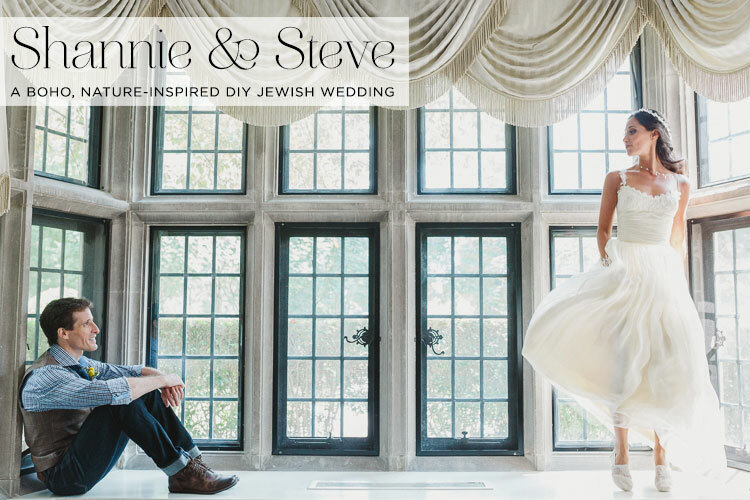 Julie and Abe managed to mix tradition and creativity together effortlessly. 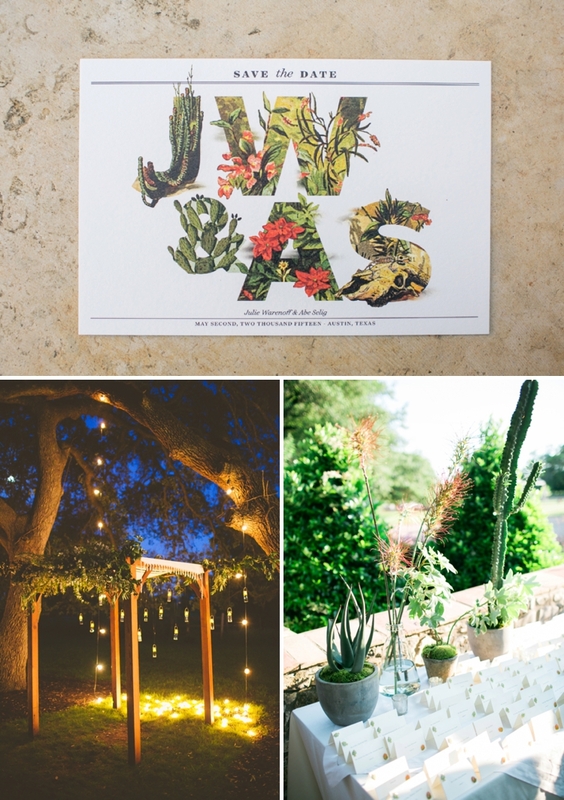 Taking inspiration from vintage botanical sketches and illustrations of cacti and succulents, their colour palette ended up taking on a lot of white and greens, and cacti became a foundational element across floral designs, and decor. Before I hand over to Julie let me just say that I know you’re going to go pin crazy with all the wonderful images by The Nichols. Enjoy! 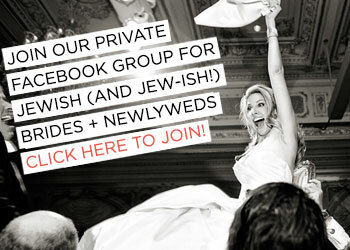 Julie, the Bride: Abe and I knew each other growing up, and at one time in our teen-aged years, we lived about two blocks away from one another. I left for college in LA, he went to Israel and then to New York and back. Years later, after I had returned to Austin, we ran into each other while he was in town visiting. After that, we started seeing one another on his trips home and kept in touch long-distance. He eventually moved back to Austin full time and we got married a few years later. 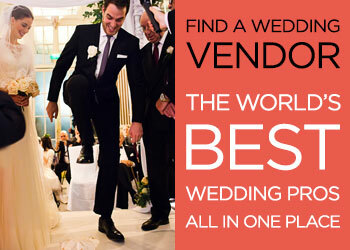 Today’s post is written by the super cool Deirdre McGinnis from Chic & Boutique Wedding Venues. 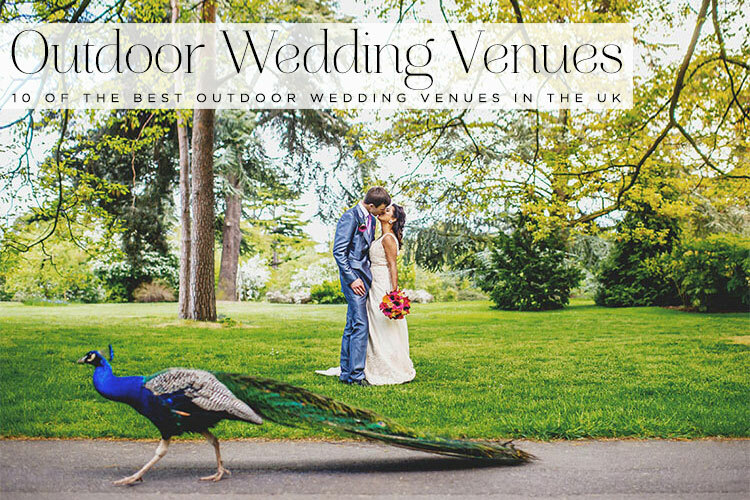 Deirdre curates only the coolest, hippest and most fabulous wedding venues on Chic & Boutique and I’m thrilled that today, especially for Smashing The Glass, she’s picked out ten extraordinary outdoor wedding venues in the UK. These ten gorgeous al fresco gems cover every kind of style and taste, and are suitable for capacities of 50 to 500. 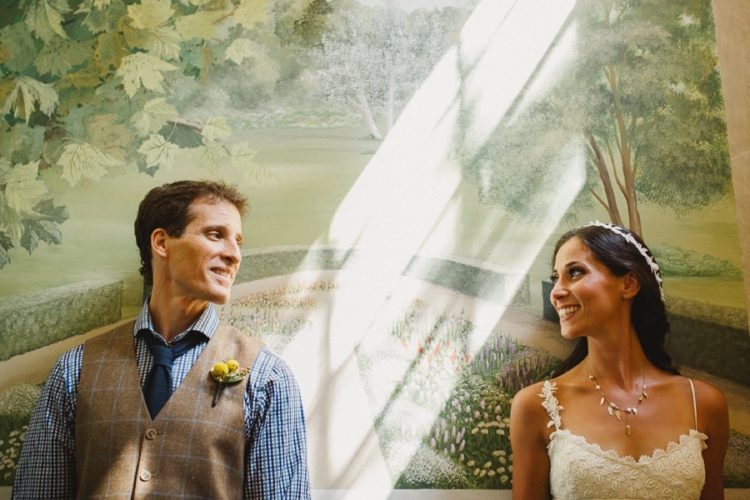 Do you dream of getting married outdoors under the British skies? Are you a child of nature? The sort who longs to commune with the outdoors and feel the weather on your face, even if it is British weather? 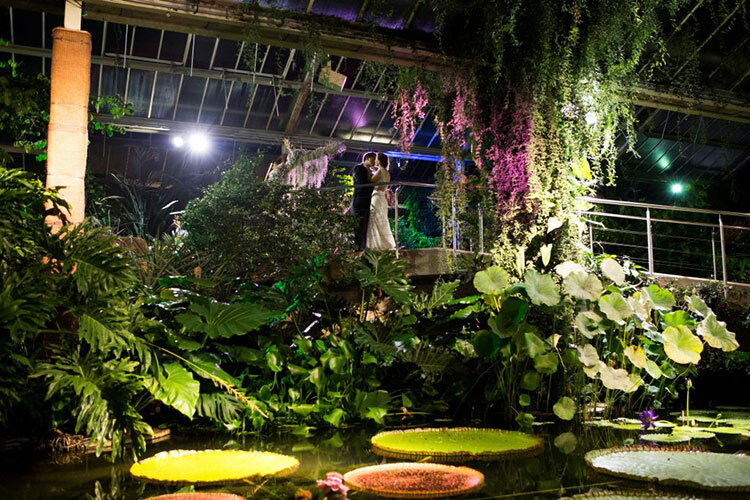 Believe it or not, London and the UK have a veritable bounty of outdoor venues available for wedding receptions and ceremonies, and I’ve picked out my top ten today, for your perusal. 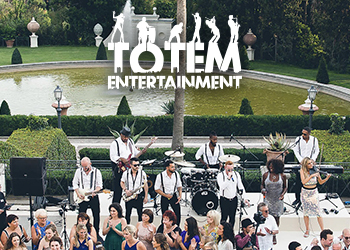 Whilst the venues we’ve selected here can’t offer you, say, a Malibu sunset, what they can offer you is a fresh, open air experience alongside the beautiful elegance of an English Wedding. 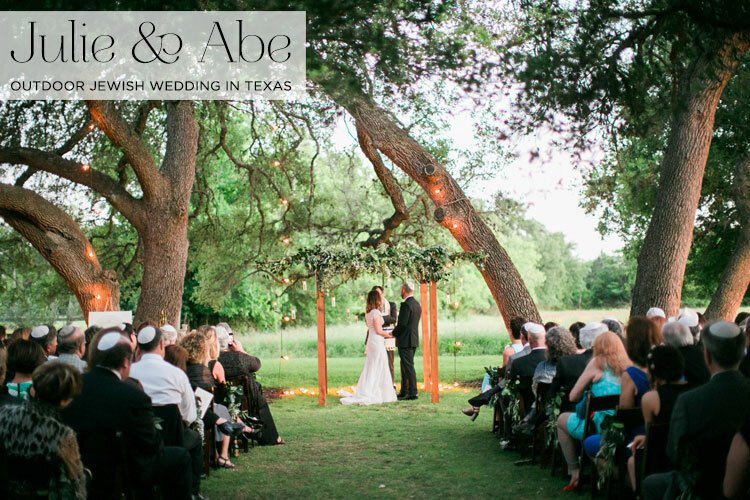 If you’ve ever considered having your chuppah outdoors, you absolutely need to acquaint yourself with these fabulous al fresco venues.